Close your eyes and breathe in. Can you catch the desert air? Can you feel the piercing sunlight hitting the round of your head and attacking the vulnerability of your shoulders? After that, look up into the cloudless sky, and the dazzling sunlight will blind you momentarily as your eyes readjust to its glaring rays. The sun is a capricious one; pleasantly mysterious in little ways. Catch the dry waterless air again as it breezes past, and recall a craving for refreshment to cure a thick tongue and a parched mouth. Despite the desert’s virtually uninhabitable nature, you can’t help but notice its natural tranquillity and textural beauty. But the smell, that’s most prominent – the taut and arid air smelling almost sweet; definitely dry and spicy. It’s unreal, and captured clearly in Andy Tauer’s L’Air du Desert Marocain. Wearing Andy Tauer’s L’Air du Desert Marocain envelops the wearer in a gentle sandstorm of spices, a warm symphony of notes that achieves a particularly magical feat in perfumery: hitting the fine balance between contrasts to give a concrete thickness that hovers melodiously over the skin. The desert air plays no games, it’s vicious and matter-of-fact, but in its absence nature reaches repose. In nature this is found during the nighttime, where the smells are highlighted in the absence of the sun as the air now breathes a cool spiciness. In fragrance, and in this fragrance in particular, the gentleness is recreated through precision of blending and the cradling of pure and quality ingredients. Allow the night scenery take you away. Other than a symphony of spices humming perfectly in tune, I find a lavish floral bouquet hidden in the very heart of this fragrance. What L’Air du Desert Marocain (L’ADDM) does to florals reminds me of a particular Guerlain way of thinking, in the same style of what Nahema did to the typical rose perfume – firstly overload the rose with five essences, and then give it a surrounding structure of fruit and spice. In my view, L’ADDM takes the jasmine flower and soaks it. Rose hip is employed here, which I find is what gives me a rose impression in the style of Nahema – in which rose hip itself is conflicted between a berry and a rose. Move slightly away from the florals, and the enchanted hymn to the desert becomes more obvious, an ode through perfume, created through improvement and bolstering. The skin warms the fragrance, and the initial smack bang of coriander seed and caraway evolve into a romantically inclined scent, warm and cuddly. During the opening, the wearer approaches a bazaar full of exotic traders selling spice and resins but never enters inside. The mystery is smelled as the distant air carries it along to you. At this stage, I realised when wearing and typing my review, this is source of this fragrance’s novelty. It smells like something in the distance, with a certain louche quality to it that never sacrifices ‘oomph’. It feels like its complexity is always coming closer, but instead of facing it you surrender to its charm. Nevertheless, the complexity is always there, but I find that L’ADDM is so tightly blended that it is almost impossible to decipher. The opening and its spiced air departs eventually, and from this evolution the dry and resinous notes of amber and cedar wood become most prominent. Perhaps the spices have cleared the palette, preparing one for the steady trail of incense and resin smoke from now on. A delicate campfire has now ignited, titillated with rich and impressionable vanilla alongside vetiver giving a prominent smokey undertone and petitgrain adding the impression of citruses from the far background. I could almost swear I smell some sun dried Provençal lavender here too, working wonders alongside synthetic ambergris (or ambroxan) imparting addiction. As the bonfire now smoulders, a subtle sweetness appears, and I can best describe this as something reminding me of sugar-coated almonds. Sweet and earthy. L’ADDM presents the tightness of a parfum in a more approachable toilette format, with a progression typical of a parfum reached at a much faster rate. This fragrance promotes wondrous dreams and awe-inspiring daydreams when wearing. Romantic, soothing, fierce, imaginative, reserved, powerful. For a fragrance to evoke all of these emotions at once it is no less than a masterpiece. Breathe in … It was just a dream. As the morning air enters your bedroom window, recall the exotica of Andy Tauer’s masterpiece. This entry was posted in Tauer and tagged Andy Tauer, Desert Marocain, Fragrance, L'ADDM, L'Air du Desert Marocain, Perfume, Review, scent. Bookmark the permalink. 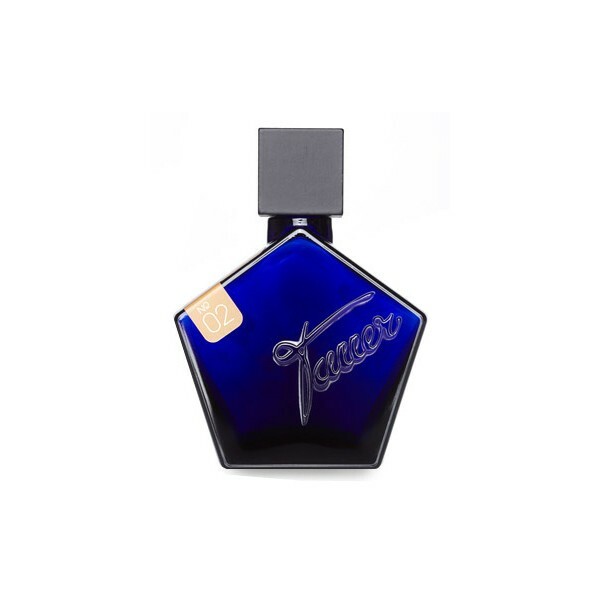 For anyone who enjoys this fragrance, they must listen to Andy Tauer’s interview on how it came into fruition and his vision for what it was representative of.